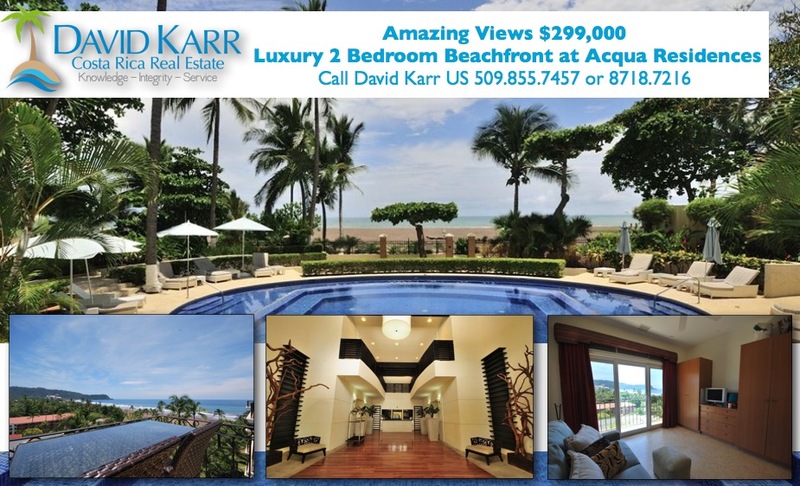 There are few properties with as stunning oceanviews as this one on the 7th floor in Acqua Residences. The 2 bedroom, 2 bath condo comes fully furnished, featuring amazing oceanviews from every room in the condo. The popular luxury, beachfront complex is one of Jaco's most popular, with amenties and features like assigned parking, fitness center, spa/salon, BBQ area, large common area pool, private storages. It is also one of the few communities in Jaco that is pet friendly. The price is right, as seller has priced to move quickly, listed at $299,0000. Contact me at 8718.7216 or US direct 509.855.7457 for additional details.